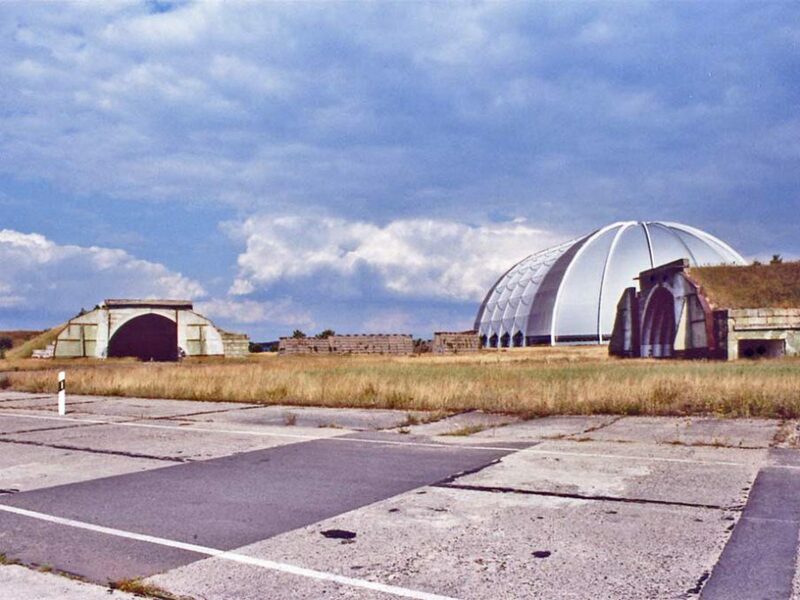 Das Gelände (2004-05) follows the construction of an indoor tropical amusement park in a former airship hangar, localized on what was previously a Soviet military base. In the video the history of the landscape is being uncovered simultaneously with the construction of an artificial indoor landscape being observed. As facilities change functions, the layers of history become evident. The visible recycling of the landscape triggers the question whether the amusement park trivializes, camouflages, or clarifies the place’s history. The video consists of images from web cameras downloaded over a period of 9 months, in addition to video footage and photos collected during the construction period. The narrative is conveyed in form of subtitles.